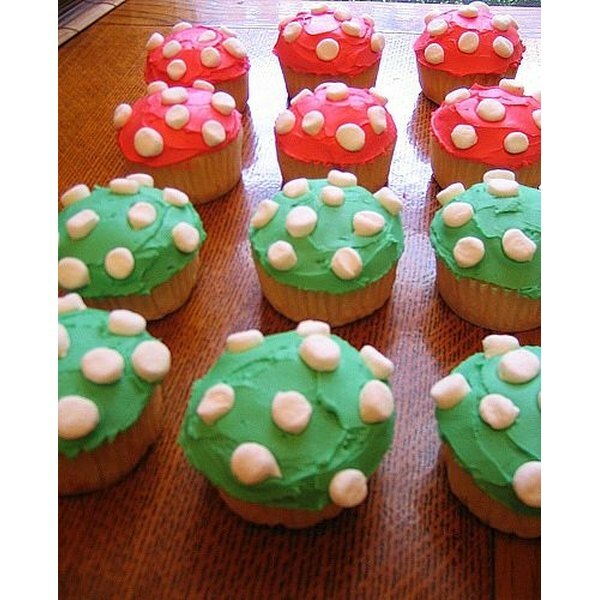 These mushroom cupcakes are just like the mushrooms on the popular Nintendo game, Mario. These are really easy, and in this article I will show you ways to be creative with them. These have been popping up all over the internet, and I thought I'd combine some of the ideas into one article. This makes a great project for kids of all ages. PICK your favorite cupcake recipe. This should be a light color because if a spot shows through on your icing it won't look "off color" nearly as bad. I would recommend pineapple, white birthday cake, lemon cake, or almost any great tasting recipe. Strawberry muffins would work pretty well for the red mushrooms as well. DECIDE how you want to decorate your cupcakes. Once you have your cupcakes in the oven, you need to decide if you want eyes on your mushrooms. You can choose to leave your cupcakes in the wrappers, and place black icing for the eyes. You can print the eyes on printer paper, and wrap them around the bottom of your cupcake as well. You can put white icing on the bottom, and use chocolate chips for the eyes. Anything that will give the appearance of black circles will work just fine! BEGIN placing the icing on the cupcakes. Once your cupcakes cool, then you put your choice of icing color on top. Make sure that it is thick enough that the cupcake won't show through, and make sure that you smooth it all out really well. If you can't find the right icing color, just add food coloring to white icing. This may get messy, so plan accordingly with the kids! USE white icing for the circles, or use white chocolate pieces. You can find these in the cookie and cake aisle at the craft store, or down the baking aisle at your grocery store. You want the white circles to be fairly big. BE creative with the cupcakes. These are great for little kids, and they can help you decorate them! 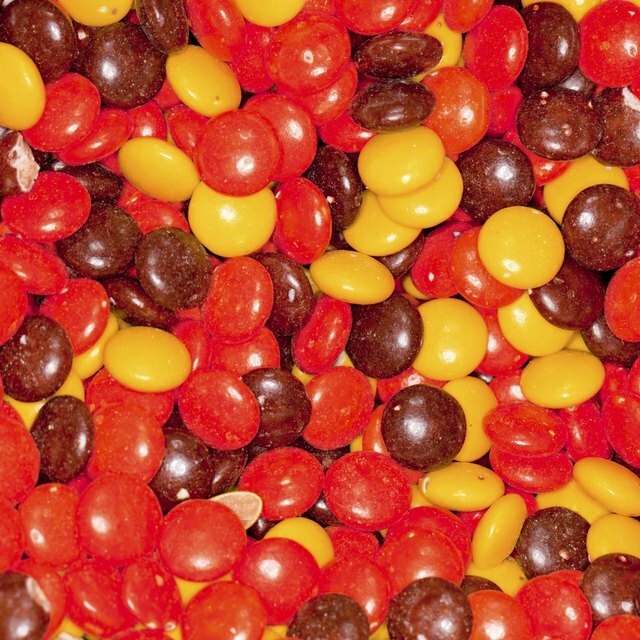 There is no right or wrong way to make these. Have fun! Make sure the cupcakes are completely cool before you start decorating. These are great for birthday parties. Be really creative, and come up with your own version!